Pets play a very important role in our lives and you want to give them the best pet care, pet food, and pet services available. Bend, Sunriver, Redmond, and surrounding Central Oregon cities know the importance of your pet companions and we are here to please. Enjoy some of the best of the best pet boarding, pet grooming, pet sitting, pet stores, and pet supplies around. We can also take your pet for a walk if you would like. Visit Bend....relax....have fun....and come back soon. 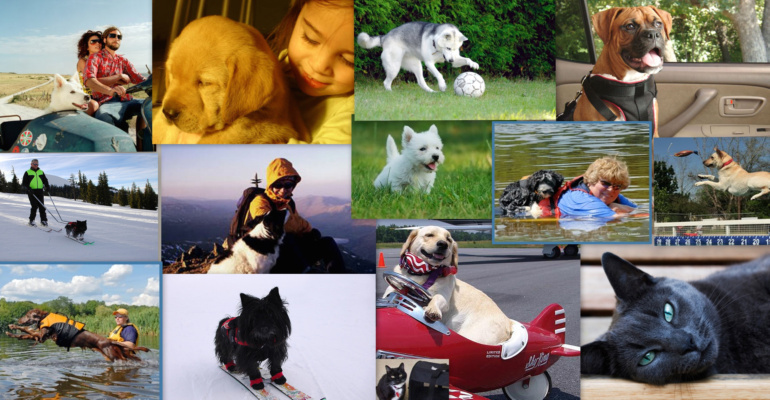 Click here - Pet Travel & Lodging in Bend, Sunriver, and surrounding Central Oregon citiies. Pet friendly Resorts, Hotels, Motels, Bed & Breakfast Lodging, Vacation Rentals, RV & Camping.